On Feb. 6, 2019 – a date that will live in infamy for our nation's so called top law enforcement agency – corrupt prosecutors in the Office of the U.S. Attorney for the District of Nevada, ("USA"), led by Assistant U.S. Attorney Elizabeth White, filed untimely legal briefs with the U.S. Court of Appeals for the Ninth Circuit ("Ninth Circuit"). This document is pathetically pleading to their perceived "friendly" tribunal to overturn the dismissal by an Obama-appointed lower court judge, Gloria Navarro (who was hostile to my client Cliven Bundy, his sons and the other defendants in any event) of the frivolous and politically motivated indictment which the Obama administration had brought against them four years ago. This indictment was payback for the Bundys and their supporters having successfully stood down the goons and mercenaries of the Bureau of Land Management ("BLM"), who, along with Federal Bureau of Investigation ('FBI") agents, had threatened to kill, and then assaulted the Bundys. They also killed bulls in their herd of cattle to drive them off the land which the family had ranched for over 150 years. The Bundys and their supporters were eventually set free, effectively having been found to not have committed any crimes. But because of the callousness of Judge Navarro – a disciple of the evil former Senator Harry Reid (who with his son tried to take the Bundy Ranch away from the family to reportedly to have it sold to Chinese environmental interests with likely kickbacks to Reid) – they already had done considerable time in this hell hole, given that they had not been released on bail at our so-called government's phony request. In Cliven's case, the cruel Judge Navarro – more akin to Cruella de Vil than Snow White – had even had him put in solitary confinement during the early days of his incarceration. These tardy appellate briefs, filed after the previously set Ninth Circuit deadline (the USA had asked for three extensions to file them over the last year), are void; and I immediately moved to strike them from the record. (To see my motion, go to Cliven Bundy Defense Fund to also support Cliven's defense) But it is unlikely the pliant Ninth Circuit will strike them from the court record, as the U.S. Department of Injustice usually gets what it asks for procedurally. That is the nature of the government law-enforcement beast; ordinary persons like the Bundys are relegated to second-class legal status, while government prosecutors – or should we more aptly call them "persecutors" – are given slack to commit infractions, if not outright crimes. Each week I broadcast a radio show on Radio America. The local listings for the show can be found at Freedom Watch's website. I also posted a blog of the show, and you can listen to it there or at Radio America if the show, whose reach is growing, is not as yet heard in your home town. 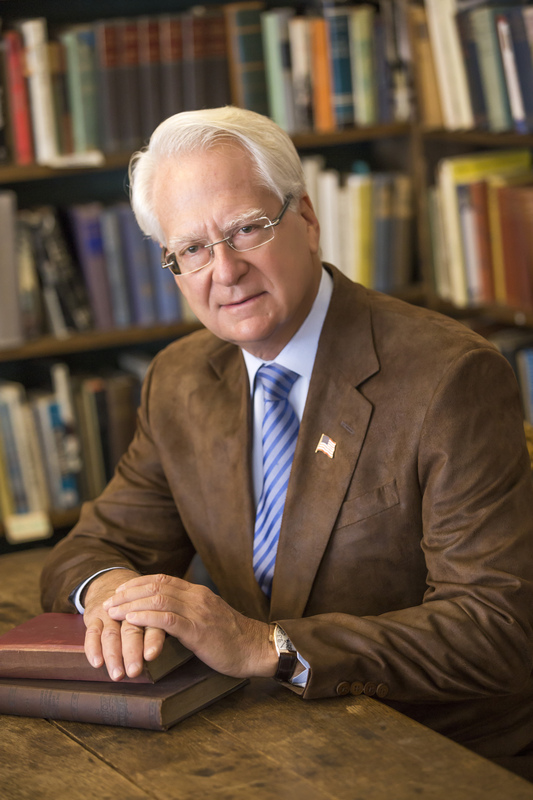 The name of my show is "Special Prosecutor with Larry Klayman." 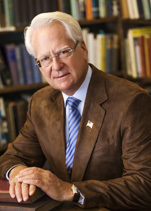 These days I feel more like calling it "Special Defense Counsel with Larry Klayman." Indeed, if as a young lawyer I could do it all over again – given what I have experienced over the last 42 years of legal practice, privately and then at Judicial Watch and Freedom Watch, both of which I conceived and founded – I would have become a criminal defense lawyer, and definitely not a government prosecutor. This is not because some persons in our generally now-sick society don't deserve being locked away for life – I am opposed to the death penalty, as our justice system makes too many unjust errors – but because I have always only represented those defendants who I believe in. I am not a legal prostitute, like much of the criminal defense bar, who will represent just anyone for "fun and profit" as long as they can jingle the change. And, in the case of Cliven and his family, these clients are exceptional persons; ones who represent true American values and are the proverbial salt of the earth, much less the American west. Last Monday, just two days before the USA filed its "Hail Mary" legal briefs attempting to perfect their appeal of the dismissal of the indictment, Cliven took me on a comprehensive four-hour tour of the Bundy Ranch, which encompasses more than 400,000 acres in and around beautiful Lake Mead. Driving on dirt roads built by Bundy ancestors (Route 91, also a dirt road, which during the days of horse and buggy and later Model T Fords transported voyagers from Los Angeles to Salt Lake City also runs through the property), I got to experience the majesty of this land, thanks to Cliven's narrative. I also got to see all of the improvements his family had also made to the land over the last 150-plus years. In the words of our great Founding Father and third president Thomas Jefferson, "When the people fear the government there is tyranny, but when the government fears the people, there is liberty."